Siracuse Engineers has a broad range of experience in the structural design of facilities for universities, hospitals, municipalities and commercial development, as well as primary and secondary school systems. Our project list includes dormitories, hospitals, adult care facilities, corporate/commercial office buildings, university athletic facilities, and churches. Projects range from new construction and major additions to investigation, renovation and restoration of existing buildings. 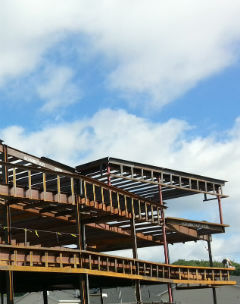 In addition to projects in the Western New York region, we regularly provide structural engineering services for projects throughout New York State, as well as in Pennsylvania and Ohio. 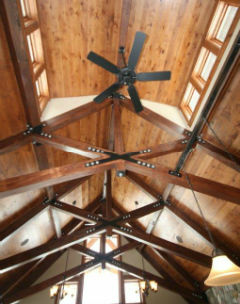 Our leadership has extensive experience managing and designing structural engineering projects. The experience gained by our principals is passed down to our associates and staff to ensure our client's needs are met. We are proud of our continuing relationship with a clientele established over many years and the growth we have experienced through new clientele. 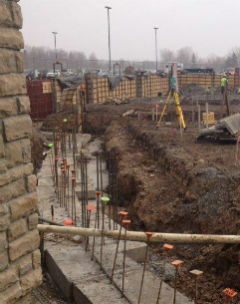 We are actively involved with many of the leading Architectural firms in the Western New York area, as well as a large cross section of contractors, industry and engineering consultants in other disciplines. That the majority of our clients are repeat customers is testimony to our abilities and performance. Golden Brick Award - "Building of the Year"
Finalist for "Best Educational Complex"
"Excellence in Concrete Design & Installation"